I have done a bit of soul searching. In retrospect, a lot has happened in the past 7 years, including my decision to publish independently. Time goes by quickly. There are so many things I’ve learned that to sum it all in one post is not easy, but what I can do is write about a few things I learned in the process, and how important these became in my decision to continue on this path. I have narrowed it to four points that represent the most challenging elements during that time. Timing – I had to learn to recognize my own timing and honor it. This was not easy for me. As a person who likes clarity, does not tolerate drama too well, and likes things straight and to the point, I have to say that timing translated into being patient with myself, allowing the time I needed to learn much of the craft and some of the technology attached to it, as well as weed out information while learning to recognize the pertinent information and disregard the rest. Impatience and rush/speed did not have a place in this process, as it was one of discovery and education. The bulk of it happened in the first two years, and it was frustrating at times. I needed to know many things about the writing process but also discover what was right for me, my working style, my pace, my ethics, and what I wanted from it all. And as we all know, the learning process never ends, but I could figure out where I was headed as far as publishing venues and method. Independent publishing was the right venue for me, as far as fitting my personality, work ethic, and writing goals. For me, timing was one of the most important elements during this process. Commitment – Once I had an idea of the process, had gone through much of the raw learning steps, and mentally dealt with the immensity of the amoutnt of information that was being put out there by other indie writers (which was all over the place and in a broad spectrum), I was able to make a commitment to myself with some clarity as far as what I wanted. During this time I found it very challenging to not fall prey of the publishing frenzy that everyone seemed to have at one point – to publish volume at a fast pace, inundating Amazon and other venues with electronic books. I had to shake off the feelings of “being behind” and replace them with my own sense of what felt right for me, and at what pace. Once I understood what I wanted out of it, and made a long term commitment that had no monetary value attached to it, it became easier to deal with those feelings of “being behind.” The commitment did not come right away but as a result of going through the timing and education process. The Others – Not minding the Others. The Others refers to what other people thought about my decision to write and publish independently. From views that were as narrow as the eye of a needle to more aceptable views and opinions, many times not solicited, I had to learn that all of it was inconsequential for me. Questionable motives, hurtful comments, and very ortodox views about the craft, had to mean absolutely nothing to me as far as entertaining them in my mind. The Others had no say as far as I was concerned. Learning to deal with the negative during this process determined the next element – Trust. Trust – Trust is an ongoing issue when it comes to my writing. Not only do I have to trust my internal process and the pen, but also, the inner me has to let the writer out. If you tend to be demanding of yourself, and a bit hard on yourself as well, like I am many times, then trust doesn’t come easy. If by nature you are a trusting person, I think it will flow a bit easier, but if you are not, trusting may present a challenge when it comes to writing, as well as any other endeavor. Trusting the process, trusting yourself, and trusting God, comes all wrapped in a package that you unwrap many times, over and over. I view trust as the most challenging element on this journey, mostly because it determined if I was to take the plunge or not. Trust also refers to keep the commitment when results do not match expectation, and goes hand in hand with faith. Faith is defined as confident belief, trust, conviction, loyalty, allegiance, and also, as the substance of things hoped for, the evidence of things not seen (Hebrews 11:1). Trust is an ongoing element. In retrospect, in the past years these elements have been present in my life and most influential as far as my writing journey. As far as summing it all up to this point, I identify those elements as the most important ones in my experience so far. 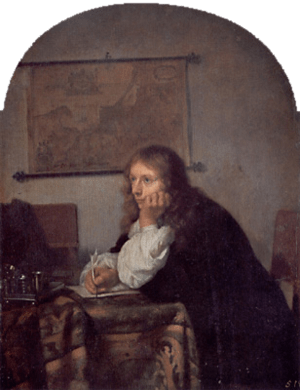 I hope that if you are starting on your journey as a writer, this post offers a bit of help or at least some clarity. Of course, each journey is unique. Who doesn’t like peanut butter and jelly sandwiches? I love them. I have them for lunch many times. Something quick, easy, and filling. Some people like to cut out the bread corners. I cut out the side corners but like the top corner; it is like a door to delight. Sometimes, I eat the end corner; sometimes I do not. Why am I writing about peanut butter and jelly sandwiches and cutting the corners? Sometimes, people like to cut corners. They like the quick and easy route. I have found that some people would like to cut corners when it comes to writing or publishing a book. They want to cut corners to enjoy the filling right away. I understand the excitement of publishing your first book; it is like nothing else. People who want to cut corners and jump right away are just excited enough. Sometimes, people expect to know in only one conversation everything that it took me years to learn. If I say something along the lines of “educate yourself on as much as you can about the writing process and publishing business,” it might be misinterpreted as an unwillingness to pass on the information. On the contrary, the intention is of meaning well enough to care. It took me years of research and study on my own to learn as much as I could on the topic before attempting to self publish. I had to make sure that I understood the current trends, technology, as well as to what type of publishing suited my personality, work ethic, and style. I only sent out one query, and as soon as I sent it I knew that I didn’t really wanted to pursue traditional publishing. It was then, after learning some more, that I decided to publish my first novel independently. It is to the aspiring writer best interest to learn much about the craft, to know herself/himself well enough to know how to choose the best writing path. Industry, genre, writing methods, technology, trends, websites, publishing industry methods … all plays a role in the deciding factor. Many times, writing is approached with money signs in mind – “How much money will I make, and how quickly?” Again, cutting corners. No one can guarantee that you will make money writing. Some writers do well soon enough, while others do not do as well or it takes more than 10 years of hard work to see any financial pay off. The internet opened a new world as far as writing is concerned. It opened the flood gates and brought opportunity to those who were not able to afford the steep price of self publishing back then. It has allowed me to publish my novels, and accomplish my dream of writing. For that I am grateful. However, when I entered into this beautiful and exciting world I did it with knowledge and sure of what my next step would be, as far as publishing my work. People assume that x amount of books published equals money. That is not necessarily true. They might even change tunes (even with you) when they realize that the bulk of the peanut butter and jelly is at the center of the sandwich. Cutting corners might get one quicker to the center but something will be missing – the knowledge to get there, and keep on going. I treat writing like any other course of study and post education. Whether you do it on your own or by pursuing a degree from college as many others have done, the important factor is that you obtain the knowledge you need to pursue your writing career clearly. Knowledge is to your advantage always. If in it for the long run, the more prepared you are the better. How do you answer it? I fell into a pile of books while going downstairs half asleep. No seriously, have you thought of the moment when you became interested in writing? Not when you felt “a writer,” because that moment might never come. The usual answer people give is, “I’ve written since I can remember.” If I go back in time, I can see a child who read everything she got her hands on, a child who amassed a large quantity of pens and pencils, a child who thought that a typewriter was the greatest invention on the planet, and also loved the scent of new notebooks and old books (I still do). I also see a child who followed members of the family, while holding a notebook and pen, and wrote in it everything they did. I see a child who kept diaries, and then, burned them. How many stories do I have from my early years, my teenage years, and the years until I decided to become a writer? None. Not even one. Why? For some inexplicable reason, I had a habit; I burned everything I wrote or broke it into tiny pieces. I never kept one story. It puzzles me today. Although I had the desire to become a writer, I never pursued it. I went into many different careers, pretty much anything that I fancied at the time, but always kept that secret desire well-kept inside me. I had an image of writers that didn’t fit who I thought I was. I saw writers as old people with money. Where did that image came from? I don’t know. Well, to answer the question – How did I fall into writing? When I resigned from my last job, I felt a strong urge to write, and I did. Almost as a long-lost calling, too loud to keep ignoring. At that same job, in one of our meetings my former boss asked an exercise question to start the meeting. It was, “If you were not here, what would you rather be doing; what is your ideal job?” Each one of us was urged to answer, and we did. Some of us answered honestly, including her, who’d rather be a detective. I answered, “I see myself writing at a cottage near the sea.” Of course, I got the weird looks, but not from her. She said, “I can see you doing exactly that.” Going back to that memory, I think that was the moment when I fell into writing. We are living in exciting times for independent writers, musicians, artists … and it is so thanks to the technological developments and new venues of communication. Therefore, the independent (indie) movement was bound to gain new heights. I say new heights because indies have been around for long. It is because these changes and ease of publishing (almost at no upfront cost) that the indie movement flourished the way it has, and will continue. The publishing industry has been jolted, and this is just the early stages. It is not clear what will happen next, but for now, the doors are open and independent writers may share their work openly and become as creative as they dare. Daring times! However, every time there is a revolution, people tend to make sense of the process, share experiences, groups are born, and in the hopes of giving cohesiveness to the experience, sets of rules appear, “ways of doing things the new way,” and leaders, preachers, and experts emerge. It is all a normal process and it is meant to grow and move along the revolution. However, as indies we should beware of a tendency – that the revolution does not morph into tradition, rendering the movement powerless. This is where our responsibility as independent writers stands. Each one of us must learn, consume, and study the movement, the fruits of it, to decide our role in it. Just because trends show up does not mean that it is a “one size fits all” kind of deal. On the contrary, it is the opposite to the indie movement. To an aspiring writer who wants to publish independently, it is like a huge treasure box full of many tools, advice, do’s and don’ts, experiences … but it is also very confusing, and if the person does not continue to educate herself/himself and becomes a follower, it all may backfire and become overwhelming none the least, and even uninspiring. I am convinced the indie evolution will continue, and I think we have taken baby steps so far – there is more to come. This is why my approach to all this is one of learning and observing while doing. It is my way of making sense of the indie movement. How? For once, before deciding to become and independent author, I learned as much as I could about it, compared it to what information was available about traditional publishing, and then, examined my personal criteria – values, work ethic, working style, expectations, and goals. Over some time, I was not sure of what path to follow, and I had not submitted work to agents, which made my decision solely based on the above mentioned personal criteria. Once I deeply thought of these things that were very important to me, and considered all the information I gathered, the decision became obvious and clear to me – I wanted to become and indie author. Then I took the steps. However, because all the changes occurring in the publishing industry and all the new information available, new faces rising, leaders, preachers … I will not deny that as exciting as it was, the experience was also overwhelming and exhausting. And this is when I decided to stop following advice, and instead treat each available piece of information and experience as precious, be grateful for it, study it, evaluate it against my personal criteria, and look inside myself and embrace only the advice and information/methods/”to do’s” and so much more … that were aligned and in balance with my personal criteria, while developing my own style. This is how I embrace independent publishing. It is just the beginning, and I think that over the next few years we will be amazed at what is to come, and many will be inside the process, outside of it, while others will be it. Daring times! In writing, the topic of exploring genres generates many opinions. On one side, the traditional views advice us to pick a genre and stick with it, while other less conventional views encourage exploration of various genres, until you settle on one. Other writers believe that you should write what you want, when you want. I think it all depends on your long-term goals as a writer. What you want to achieve down the road, and how you view your writing career in the future will determine many of the decisions you make today about your writing. Most aspiring authors who are serious about writing as a career, are mindful of it, from the beginning. No one picks a pen and paper one day and says, “I am going to be a writer.” At least I hope not. There is some thinking or dreaming, a desire that turns into research about the topic, consideration, learning, and planning. Whether you prepare early in life and follow that road after high school, or whether you know the path but other life circumstances take you away from it, there is always a process that brings you back to decide, research, learn, and plan. For example, someone who wants to take advantage of the technology and writing venues of today to make quick money will bypass the process, and self-publish in a haste whatever they want just to make a quick buck. If not profitable, the person will abandon the endeavor. I wanted to make this distinction because how a serious writer approaches his/her career is very different from how a person who wants to publish a few books to make quick money does it. This shows in the writing, the reader can tell. The first thing a serious writer will consider, besides publishing traditionally or self-publish, is what genre(s) appeal to her/him. Most likely, the aspiring author will read and learn about those genres, and mentally make a decision to write or not write in that genre. Most likely, we write what appeals to us. Then the aspiring writer considers the dilemma of publishing – traditional versus self-publishing. Most likely, that will lead to learning and researching before deciding. If the writer wants to follow the traditional path of publishing, he/she will stick with a genre for a while. Many times, will change pen names to write another genre. A writer who decides to self-publish will stick to a genre in the beginning but might end up writing in other genres that interest him/her. The pressure of traditional publishing is off as far as selecting another pen name for different genres, so the writer makes a decision about this in a way that works best for her/him. The goal is a long-term writing career, so there is no need to make quick decisions or judgements as far as following genres, trends, because the goal is not quick money but establishing his career path and growing in it. Genre hopping without a plan/goal in my opinion is risky for a writer, especially if the writer has not decided yet if traditional publishing is what he/she really wants. A few successful self-published authors have gone back to the traditional model once they have been discovered and offered contracts. However, the reason they were discovered is because they managed to write successful books in a particular genre, and they grew in it, resulting in a decent amount of readers. Now, these authors have the freedom to publish traditionally, and self-publish on the side, depending on their contracts. On the other side, many known best-selling authors who published traditionally, are abandoning this model, and are self-publishing. The issue of genre matters whether you are starting out or have written for a long time. It does not matter so much if you are not serious about a long-term writing career, since the goal is to follow the trends and make money. Don’t get me wrong, serious writers want to make a living too, but they hold their craft at a different standard. The craft becomes priority, not the money. Watch the interviews of best-selling authors who have been writing for some time, and you will see that most of them did not set out to write to make money; they did it because they had a passion for it. Consider your long-term goals as a writer at the same time that you are considering genre hopping. I am as clueless as you are. I don’t know that anyone knows for sure. These days, it is a hit or miss. If you write whatever happens to be selling well, you might have a slight chance of being discovered; however, there is no guarantee, as these times seem to be characterized by fast and furious writing, of aiming a target market and pleasing the publishers. Indies might not try to please the publishers but the readers who crave the craze at the time. Pleasing readers is good; however, not if you are writing something hoping that it sells but your heart is on another place. In that case, you lost your writer. The other day, I picked up a small paperback, a fantasy/paranormal romance that promised a bit of adventure, just for fun reading; I was in the mood for it. It was from a bestselling author on that genre, who had written many novels, and had won awards. I was truly surprised when (just my opinion) I discovered poor content, weak, poor dialog, and honestly, it needed a decent amount of editing. I continue reading (stunned) but had to skip pages, and eventually, had to put it down. I was puzzled – a best seller, but how? Your guess is my guess. What makes a bestseller these days? Lots of luck, maybe? Good writing doesn’t seem to cut it anymore. I am an eclectic reader; I enjoy many genres. I have read very good books that are not best sellers. I understand the fever and craze that a genre might cause at a particular moment, but I don’t understand how a poor written story becomes a bestseller. Maybe it is all about sales and hoopla. Your guess is my guess. I would love to hear your experiences (as a reader) on this topic. Learning and doing are two different animals as far as I am concerned, that is, when I think about my writing journey. We all start with that yearning and passion for writing, followed by another desire – publishing our works. You set sail to learn as much as you can about the craft; and if you are like me, you spend years learning the path. This is when it gets interesting, at least for me. I learned much before deciding to publish my novels; however, I have to admit that I did not do as I learned. Much of what I read was tailored to traditional publishing. It wasn’t until the last couple of years that self publishing became a more acceptable vehicle for writers. England still struggles a bit with the concept, for what I have read, not as welcoming as the USA; however, getting better. When I was thinking about publishing my work, what I was learning seemed to go against my grain; however, I kept learning and informing myself as much as I could – learning the entire process, and writing, until I got to the point that I was ready to decide, I mean, ready to send that first query, that first manuscript, which somehow, did not feel right to me. So I sent one query, and it wasn’t until I physically did it, that I realized that I did not want to take that path. At least, now I was going somewhere, although I was glad for the time spent learning. Soon, I realized that I was yearning for the Indie lifestyle, to self-publish and be there (participant) the entire process, responsible for every bit of it – despite the immense task that it presented. I realized that I wanted to become an indie author. I set sails again, learning as much as I could about the process. In my heart, I knew that it was the path I wanted to take; however, the self-publishing frenzy that was going on, added to the still negative talk about self-publishing, kept me waiting, unable to dive into it. I learned the process, but I was unable to dive into the vast sea. I questioned my indecision – it wasn’t until I understood my fear of being branded as an indie, of becoming an abomination, a heretic in the publishing arena, even when I knew that it was the right match for my working style, my ethics, and my personality. For some reason, the information that I had consumed earlier, had led me to believe that once I became an indie author, there was not going back – the damage was done, permanently. How had I become to believe such absurd idea? Understanding where my worry originated made it easy to take the plunge, and so I did. This year I published Moonlit Valley and Ramblings of the Spirit (book 1 of The Dinorah Chronicles), which are available via Amazon. By the end of this year I expect to publish The Book of Sharon (book 2 in the chronicles). Once I decided to become what my heart was telling me, the rest was easy. I had entered the indie world, lonely at times, however exciting and challenging. I branded myself as such, and after learning about many indie authors who have gone back to publishing the traditional way (offered contracts) or traditionally published authors who have become indie authors (setting themselves free), I realized that what you learn and what you do sometimes becomes a dichotomy, for whatever reasons. To each, its own. Now, what about heavy promoting and marketing? The learning continues, and so the doing, which seems to differ, once more. Although, I will do some promoting and marketing of my novels, I won’t fully dive deep until I feel that I have at least 5-7 novels under my belt. There is a reason for it, and it does not translate in total disregard of my work or marketing it. Instead, it responds to my desire of building a brand, developing it, and tie everything together. To me, it seems easier to heavily market your work when there is more of it, exposed, than to do it when there is only a few (1-2) samples out. It makes sense to me. I rather use that energy (because believe me, promo/marketing requires tons of work, effort, and commitment) to write more novels, build my brand, so later I can dedicate the right time to it, despite the fact that the information I consume tells me that you have to market your novels before releasing them, but I am talking here about a more in-depth marketing, which will require more of my time and commitment as well as a more detailed business/marketing plan. I have set a goal of reaching my magic number in the next two and a half years. I will be working hard to reach that number. In the mean time, the learning, the writing, building a brand, and the creation of a marketing plan continues. I will blog about this topic in future posts. For the purpose of this post, let me start by defining an introvert as someone who enjoys solitude, quiet environments, and working by himself/herself as opposed to someone who enjoys live and upbeat/crazy environments and group work, as well as the spotlight. You may be an introvert and love to socialize, and not necessarily consider yourself a shy person. For example, you may prefer the coziness of a small book club to an auditorium full of people, discussing the same topic, and you may prefer one on one interaction to group action. These days, even if you are an introvert writer, you will be faced with making choices when it comes to selecting how you will market your book. Technology and the internet opened the doors to many good authors allowing them to share their work – doors that once were slammed in their faces by traditional publishing. In a world where viral can happen to anyone, introvert authors may find themselves in the spotlight, without even wanting it. With it comes the interviews, the shows, podcasts, invitations, speaking engagements … and so on. What is an introvert author to do? Well, he/she may go with the flow (even if it becomes too much), or he/she may become selective and do things according to a level of “self-preservation” and comfort. If you are on the “quiet side” don’t let the noise of the “new way of doing things” prevent you from following your dream. When it comes to marketing your book, you don’t have to do what everyone does. The purpose of marketing something is just to put the word out there so people know it is available and can make an informed decision whether to purchase it or not (in the case of a product) or to contribute to it or not ( in the case of charity or money-raising events). You can tailor the marketing to the activities that you enjoy doing, and take advantage of social networking and technology to do them more efficiently. For example, lets say that there is no way that you will have your face plastered via your YouTube channel to reach readers, because the thought of it makes you sick; however, you love blogging and you love forums, and this is a way by which you can achieve the same marketing results. You may not want to go on a book tour(s), but you have no trouble with doing one on one interviews, or small group readings. Those were just examples on how to tailor marketing to the activities that you enjoy, thus eliminating the dislike factor and making the process enjoyable. People prefer a genuine you than a “stiff/scared forced to do this” you. When I watch informative videos on YouTube, I go for the ones that show me a down to earth person who seems genuine and seems to be enjoying what he/she is doing. I stay away from the clips in which a stiff person is trying to sell me something and making a fake effort so it doesn’t come across that way. My point is, being genuine at what you do, even if it is only one activity, will turn better results than doing tons of activities that you don’t enjoy just because that is what the “experts” say you should do to sell more books, have more traffic, and gain readers. If you don’t like the spotlight, you can always dim the lights to your level of comfort. You never know, maybe the activities that you enjoy will lead you to activities that you didn’t know you enjoy. When marketing your book, do the things that you love to spread the good news and be genuine, generous, and thankful about it. The guts to live your dream takes many times, just showing up to what matters in life – to what matters to you, and not adopting a one size fits all approach. Yesterday, I set on a mission – to create an author logo/nameplate for my book covers. This may be a bit unconventional, but I wanted to create a cohesive way to identify my author name with future book covers. I’ve noticed that most authors, except a few, use a free style when it comes to have their names printed on a book cover. I never understood this, and while I agree that a book’s title is more important and the first thing you notice, besides the art cover, I like the idea of matching an author’s name to a style/logo that you can recognize. I’ve noticed that Nicholas Sparks has a cohesive flow to his name on the covers of the books, and just by catching a glimpse at one of his covers, I already recognize the image and associate it with his work. He is one of the few that I’ve noticed doing this, although not in all his books. If you check out a few book covers from different authors you will see what I mean. 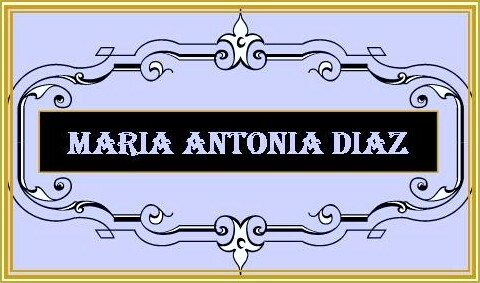 I came up with a nameplate that I will include in future book covers. I had fun designing it and think that it fits my personality as well as the essence of my stories – that author’s persona that leaks throughout the story. I will not include it in Moonlit Valley, since the cover is already set to go – a scene from the book. However, since I am planning to write for the long run, it will become part of my brand. To me, branding is important, as it becomes as essence, with time. For authors, branding includes many things besides a pen name, but I think that details are important, even when you are a first time author trying to build your brand slowly, which is what I am trying to do now. I have thought about many examples of branding from well-known authors and will use two examples to illustrate my point. When you think of branding, you can visualize Stephen King, (who is the king) and see how he has built his brand around his name. Or, you can think of J.K. Rowling and see how she built her brand around the Harry Potter series. For her, publishing another book outside the series, got her harsh criticism because her brand grew and developed around this character. On the other hand, Mr. King may publish anything he wants, and his name becomes stronger. I am not sure if you follow my point, but what I mean is that branding for authors goes beyond the product. This got me thinking about creating a way in which I can start building an author’s brand as I continue in my writing journey – a lifetime journey. Here is the design I came up with, and so far, I think that I am happy with it. I like it because it is different and simple enough that it will not compete with other details going on the cover – it can cohabit, but at the same time, starts building visual recognition – over time, that is. I believe that it is never too early to start building your brand. Have you thought of branding your pen name/author’s name? What do you think, as far as creating name recognition in future publications? What is the next logical step? This is a question that I have learned to ask myself, although I don’t consider myself a “dead logical” person all the time. Yes, from time to time I let my mind dream and soar through illogical paths and fantasize about the not so probable but possible, and the totally illogical. However, when it is time to get serious about making decisions, I listen to my mind, then to my heart, and then ask – What is the next logical step? Most likely, I will find the correct answer; however, turmoil starts when the mind and the heart are pointing to different solutions. Then I must ask again, What is the next logical step, and why? This usually dissolves the turmoil, and an agreement between mind and heart takes place. In relation to my writing and deciding which route to take on publishing my novels, which have been pilling up waiting for the turmoil between mind and heart, and current reality to dissipate, I have asked myself this question by the end of this year. Part of my reluctance to publish, besides having to decide which venue to take – traditional route (agent) or self-publishing, was that I will be relocating to another state, but the move has been postponed for a while, and that affects the way I would do marketing for a particular area (thinking local of course). So this is what has happened between mind and heart, in respect to this important decision. A compromise is agreed between Heart and Mind, and ONE query (only One) is sent. Immediately, Heart and Mind agree on something. Queries are stopped from going out and soon, there seems to be no dilemma, there is no sense in sending a query, that is, when I am not sure that the right path is traditional publishing. Later on the right path emerges – Self-publishing is the right path for me. For me, the right way to do it was to come to a halt, to be able to go on. I am probably one of the few people who has decided to self-publish without sending out queries (well, I sent one), and feels good about it. Therefore, I am planning to publish my novels this year, hopefully with a few months apart in between, date pending and will be announced soon.